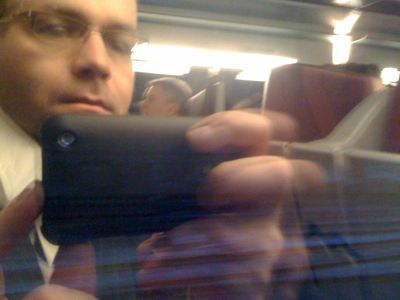 Jan´s Blog Spot » Adieu Paris, Grüezi Züri! As most people who know me probably know already it finally happened. After almost five and half years my time in Paris is finally up and I moved away about three weeks ago to start a new job in Switzerland or Zürich, to be more precise. Given that the original plan was to return to Munich after 14 months this is probably the latest I have ever been for anything (1540 days, in case you don’t want to do the math yourself…). 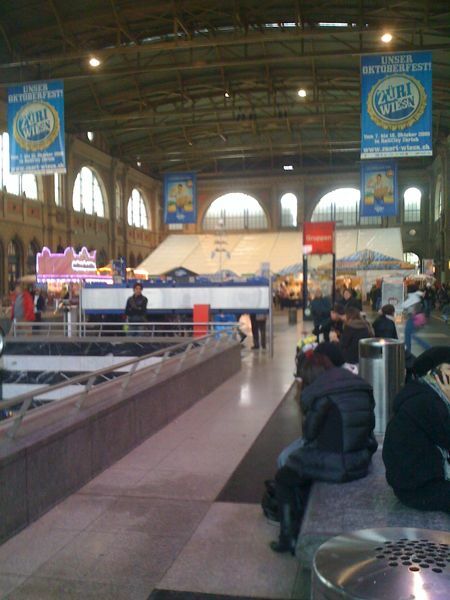 …and arriving in Zurich, main station about 4 and a half hours later. The Swiss were so nice as to put up a small version of the Oktoberfest inside the station when I arrived, so I immediatly felt more at home. Nowhere near the real thing but still a nice touch, thank you very much. PS: And yes, I know it has been way too long since I last posted something here, but since there is a new job and a new city I’ll see to changing that again. And also to catch up on all that’s happened over the last couple of months. I wish you all the best for your start in Zurich Jan. I’m looking forward to see the pics of your new flat once you found it. Fingers crossed, m@ik! If you were so kind as to stop posting so many updates… Can’t keep up reading your blog entries! Have mercy! Hope you’re doing alright about 5 months after your last post. Will you be in Muc for your b-day?